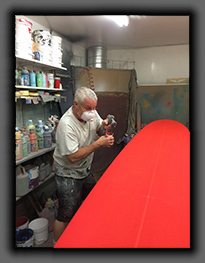 When you order a completely handmade polyurethane/polyester board from me, you can check on your board’s progress and know exactly where it is. 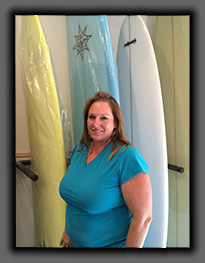 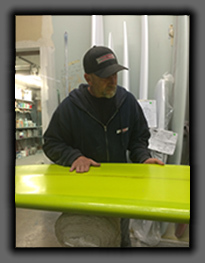 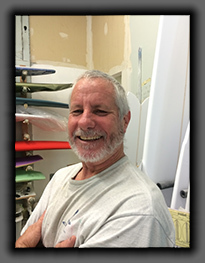 It will be in the very capable hands of the surfboard craftsmen that do their work at Eric and Debbie Gordon’s Custom Surf Glass shop in San Diego, California. 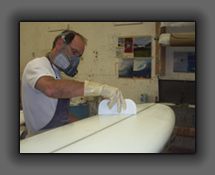 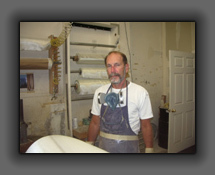 Their shop has been glassing boards for me for over 15 years and I know that when one of my shaped blanks disappears through their front door, the next time I see that blank, it will be a completely finished surfboard built to both my specifications and those of my customer, and will be of the highest quality. 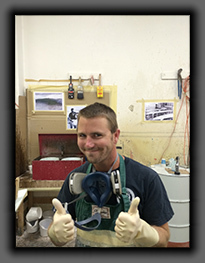 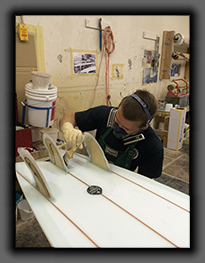 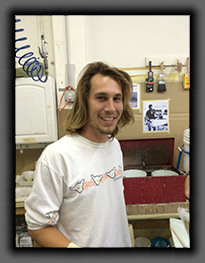 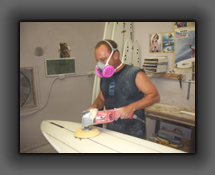 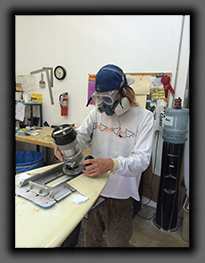 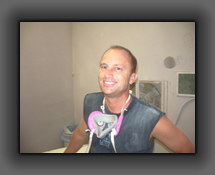 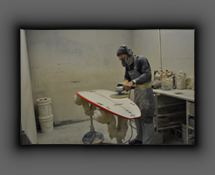 Feel free to contact me to check pictures and progress of your completely handmade surfboard that is proudly made in the USA.